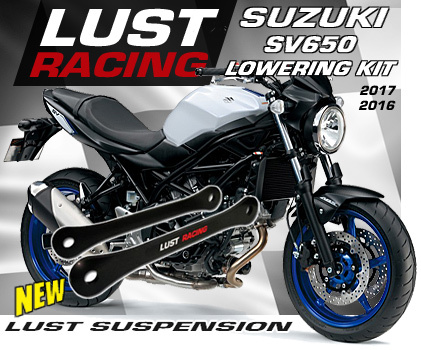 Lust Racing makes lowering kits for all generations of Suzuki SV650. Installing a lowering kit will lower the suspenison and reduce the seat height of the bike. Front forks are adjusted when installing a lowering kit to maintain excellent handling. Supplied with installation instructions.